Hoists: Electric Chain or Rope Hoists for Cranes. 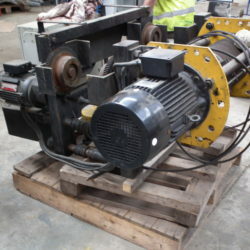 We sell new and used electric chain hoists, as well are wire rope hoists for cranes. 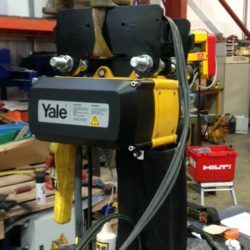 We are stockists from all main manufactures hoists including Demag, Stahl, Yale, Donati, Morris, Abus, Konecranes and SWF to mention a few, subsequently we can always offer the right hoist for the right job. As a result we can usually quote a chain hoist price within the hour. Lastly listed below are some details and prices on some of the most popular brands. 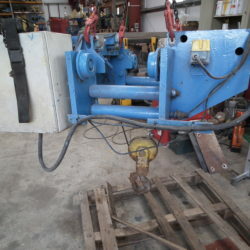 Chain Hoists, Electric or Manual. AG Cranes are distributors for all the major chain hoist suppliers including Stahl, Demag, Abus, Donati Yale, and Streets. In addition we also import hoists from the EU and are the sole UK agent for BCP wire rope hoist units. 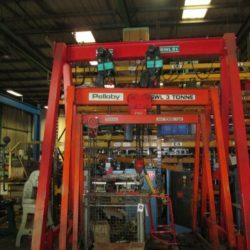 Therefore we can always offer you the best solutions and match your exact lifting requirements. We stock a massive range of electric chain hoists and indeed also supply manual chain hoist if three phase 415v is not available on site. Furthermore we can supply various heights of lift, always ensuring ensuring we have a solution to all your lifting applications. 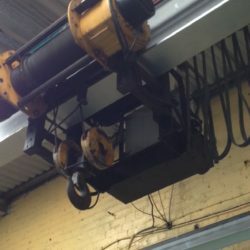 More importantly all our chain hoist units are available many options including; either stationary suspension, (hook or eye), push travel and lastly power travel trolleys. Wire rope hoists for cranes are available in either stationary, power travel (monorail application for single beam cranes) or as a crab unit for use on a double girder crane, standard and low headroom, therefore offering the best hook heights on the market. Finally please use the search facility below where you can search by type, manufacturer, SWL or condition (new or used). 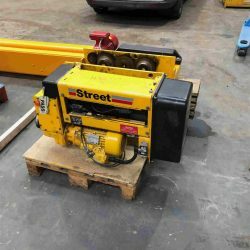 4 tonne Street Crane Wire Rope Hoist For Sale.